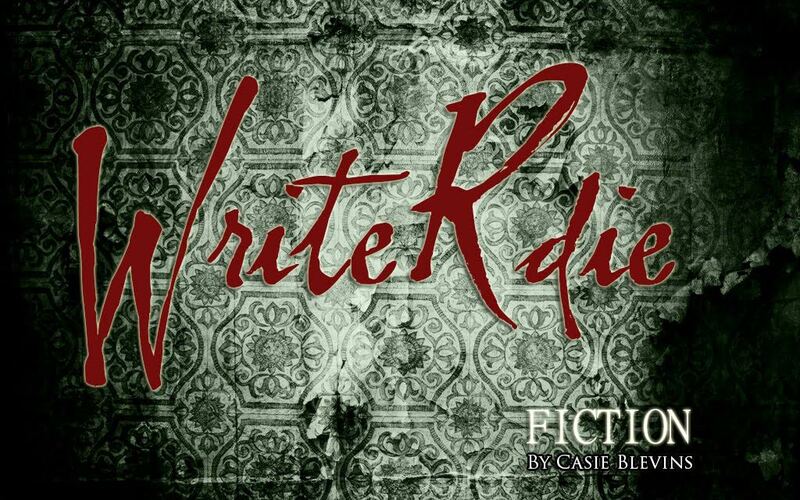 Write R die Fiction | Fiction, Musings, and… Me. I decided last November to do Nanowrimo. Because I like a challenge I decided to flip everything upside down and change up everything about my process. I wrote around 4000 words the first day and each day was slightly less after that. I decided to not read ANY part of my previous writing but to continue forward no matter what. And last but not least, I wasnt going to plan any part of it–a totally pantser process (in truth, I am more pantser than anything anyway but I am an obsessive edit-er during the process). The result: The Order of the Bloodletters: The Library. This might just be my first publishable story. I placed second place in the Not So Scary Story Contest and third place in the Scary Story Contest. There’s a small gift card prize but the coolest part is that the stories will be published in an anthology by Woodneath Press. I will officially be published. This gives me the warm and fuzzies, let me tell you. I have been holed up in my writer’s den all month. I’m still here, I’m just concentrating on big projects. I’m hoping to wave goodbye to this novel as it makes its way into the capable hands of an editor. Also, I’ve been walking. I’ve gotta earn my hours in the chair each day. Additionally, I’ve been enjoying the hell outta my new library. Did I mention that I live in a library? That’s not far from the actual truth. I’ve been busy restructuring the books I own already, acquiring more (I may need a 12 step program and an extra lifetime at this point), and setting it all up in my living room and bedroom. It is glorious being me, at times. If you knew the world was going to end and you only had time to read five more books, which would you choose? I found myself pondering this question today while looking at the long expanse of new bookshelves in my bedroom. Filled with so many delicious titles to choose from which of my many books (how many do I have?) would I pull off of the shelf and savor? #1 Catcher in the Rye by JD Salinger. I see this book referenced everywhere and no I’ve never read it. Go figure. #2 To Kill a Mockingbird by Harper Lee. Another one that is so much a part of our cultural lexicon and that I’ve never taken the time to read, and yet still own. #3 The Turn of the Screw by Henry James. Supposedly the quintessential horror novel and yet I’ve never read it–partly I think because of what my mind does automatically when I see the title. I turn it into Turn of the Shrew which must come from mixing it up with The Taming of the Shrew by Shakespeare. Either way the word shrew annoyed me away from the title. #4 The Stand by Stephen King. This one I have read and it holds the number one most favorite book spot in my heart. Also, if the world were going to end this would almost be preparation for it. Hmmm… #5. I might leave that one open. Perhaps this one’s not on my shelf yet. What would you add to the bottom of this list? What would be on yours? I want to see your stories! Choose any of the prompts below and then blow my mind with your insanity! Write it down, post it, or link it here and harass us with your havoc. Tom discovered it first thing in the morning on the way to his mailbox. It swung in the crisp fall breeze, covered in vapory thin clothes, bones rattling against each other, a macabre wind chime prominently displayed from the old tree. Tom’s cat hissed at it, skittering away from it into the bushes leading out to the old field. Tom stood silently watching it swing and twist. Occasionally, a lone leaf would fall off a branch above it and scrape across the old bones. “I am looking,” he muttered, running one hand through his white hair. He shrugged his shoulders, continuing to stare until his wife sighed, rubbing at an arthritic knee, and headed back towards the house. “Just get it outta here, will you?” she said. Tom fetched the ladder but when he set it up he found himself unmotivated, stuck halfway up. Why did it even need to come down? He liked it, though he couldn’t say why. Its clothes were faded red, sleeves torn and pants ripped but it felt more alive to him than he, himself did. It didn’t hurt like he did, wasn’t bent and crooked, achy. Its teeth rattled at him, seeming to talk, or maybe just chomp in his direction. He leaned closer to it and saw that there were wispy bits of white hair attached to its scalp, not unlike his own. He climbed back down, leaving the ladder and the skeleton to the morning sun. Into the night the skeleton danced among the bare branches of the tree. Frayed clothes knitted together, twisted muscles stretched across its bones. Blood dripped from fingertips that covered slowly with skin. Eyes bulged, then covered with eyelids, teeth hid behind lips, wispy hair thickened and coarsened, turned dark. The sun crested the old field and filled the little farmhouse with light, shining on Tom’s side of the bed, which was empty. Tom’s wife rolled over grasping the blanket to her chest, slumbering. The cat stood in her place in the yard, swishing her tail back and forth, watching the slow and ponderous figure making its way through the field beyond the leaf littered yard. Watching its shoulders roll and the clothes on its back flutter and whip, the red plaid flannel shining in the early morning sunlight. Soon the figure walked more steadily, then confidently, striding. Youthful hands swept once through dark hair before settling over his heart. As light painted the meadow a golden hue he broke into a run, an old man turned young, and disappeared from view. Gimme all your Grisly Ghastly Ghosties. Post or link your stories here. If you’ve been paying attention then you know it’s time to forget your fears and write your freakin’ head off.